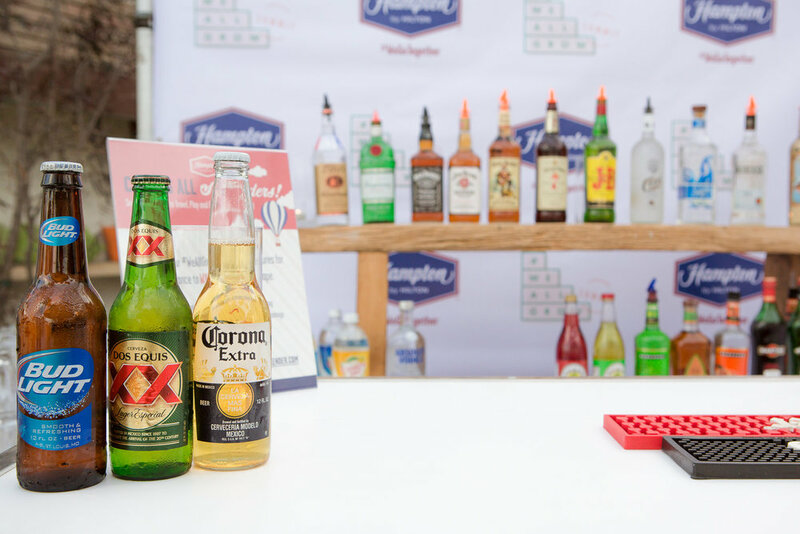 Hampton by Hilton wanted to kick off the WeAllGrow Summit with a fun and engaging Welcome Reception.The main focus of the event was t create an activation station that encouraged guests to Be A Seekender. Ultilizing a social media Gif Booth, we created a custom experience for guests to engage with props representing each seekender trait - Adventure, Food, Music and Sports. Guests could then upload their photos and the animated Gif to their social media accounts to increase Be A Seekender awareness.The fully outdoor event also featured live music, branded lounge areas and specialty cocktails completed with branded stir sticks. 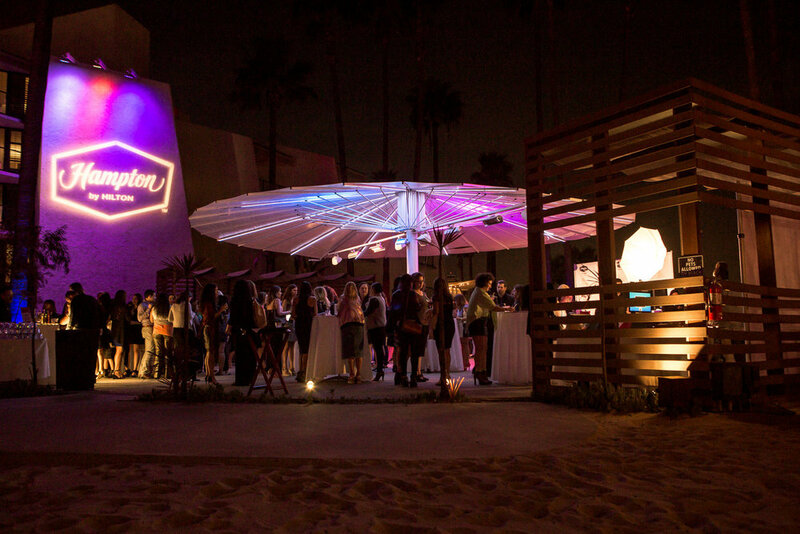 To light up the space we strung bistro lighting over the beach, brought in custom branded lightup bars, touches of blue & red uplighting on surrounding palm trees and the Hampton by Hilton logo lite up the main wall for all guests to see upon arrival. After seeing all the online engagement, it’s safe to say the Welcome Reception was a success!